Joe Jonas is dating Camilla Belle. The 19-year-old Jonas Brother began the relationship with the older, 22-year-old actress only weeks after breaking up with country music sensation Taylor Swift in a 27-second phone call. The couple met on the set of the three brothers' new music video, "Lovebug." In keeping with their clean public image, Joe Jonas only agreed to the relationship after careful deliberation: "She's a really good girl, and it seems they share a lot of the same characteristics and morals." They have kept their relationship confined to family and friends until now. October was also a volatile month for another Jonas Brother. Older brother Kevin Jonas was seen strolling with childhood sweetheart Danielle Deleasa. However, younger brother Nick Jonas was spared any change in the status quo. 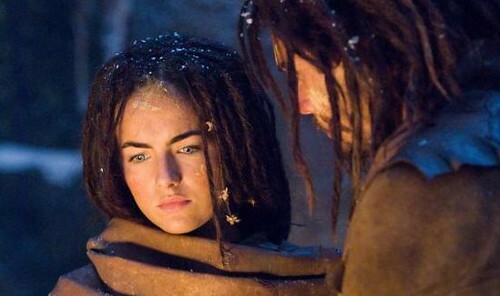 Camilla Belle in "10,000 B.C."